Hey Everyone! Today's post is going to be all about my favorite people to follow on snapchat. 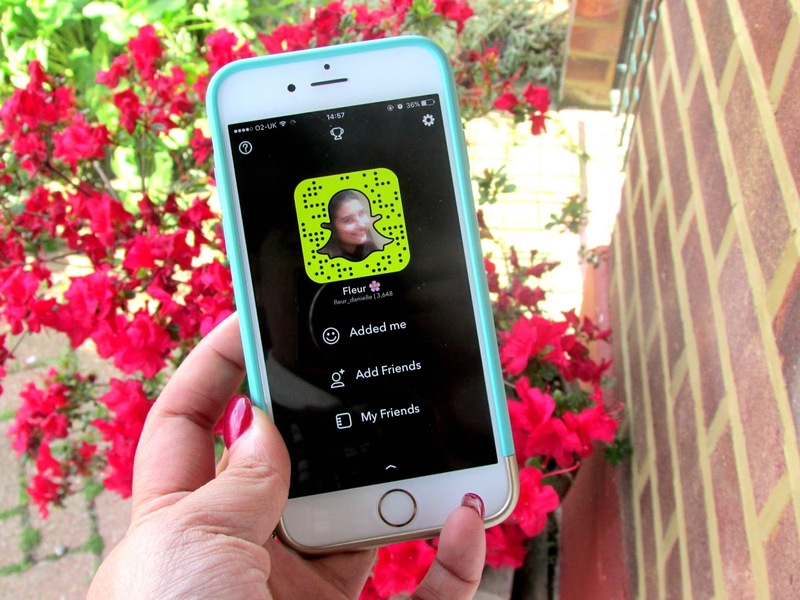 Snapchat is something that has become extremely popular in the last year or so and is definitely one of those things you either love, or hate or even love to hate! At first it was just used to follow celebrities but now everyone uses it thanks to the popular filters and it has become a really fun and effective way of communicating with people and showing little snippets of your day. I don't use it as much as I probably should do but I still love it so I thought why not share with you who I love to follow on there. 1. emshelx: I adore Em's blog and instagram so it was a no brainer really to follow her on snapchat and I absolutely love it. With a gorgeous figure, gorgeous outfits and amazing food and drink as well as little snippets of all the adventures she goes on you'd be absolutely crazy to not follow her on there. 2. CarlyRowena: If you're looking for great work out tips, a cute dog, great recipes and just love finding out what she gets up to behind the scenes of her blog and youtube then she is definitely one following on snapchat. She has the heart of gold and the most gorgeous smile in the world that will instantly put you in a good mood. I just adore her. 3. niomismart: A girl who puts my eating habits to shame I just love following Niomi to see what recipes she'll be coming out with and just seeing what new work outs she'll be adding to her routine as well as seeing what amazing things she'll be getting up to such as attended the Queen's 90th birthday celebrations. Wow! 4. AnnaSacconeJoly: Anna is someone that I've recently followed on snapchat but I absolutely adore it as I love seeing behind the scenes of her gorgeous little family. Her kids are absolutely adorable and as someone who has a bit of an obsession with the irish accent that is definitely an added bonus as well. 5. hellooctober: I love Suzie. I find her really random in the best way and I'm always envious of how good her hair and make up always looks. She's like a ray of sunshine on a dull day and I just love following her day to day adventures as well as seeing unboxing of some of the amazing packages she gets sent. 5. LivPurvis: Liv is a person I've never seen angry, upset, down or anything like that. Her snapchats are always so upbeat and full of joy. I love watching them as not only just she have the most adorable dog and calming personality but she loves using the filters and they never fail to make me laugh. 6. emmamilleruk: Emma is just the loveliest girl. She's so gorgeous so for the best hair and make up tips, best healthy but delicious recepies and updates on her blog and youtube she is definitely one to follow. She always runs little competitions on there as well so it's definitely worth following. 7. inthefrow: One of the most relaxing snapchats ever. Victoria has the most amazing hair and body and goes on the most amazing adventures that just make you wish you were right there with her. I'd definitely recommend following her but only if you're prone to the green eyed monster! 8. lucyandlydia: These two never fail to make me laugh. They are literally the craziest pair of twins I've ever come across but their snapchat is literally a bundle of joy that will have you grinning from ear to ear and make you go 'oh god' in the best way when a new snap pops up from them. I love it. 9. natesnapbuzz: Nate is actually an actor who has appeared in The Vampire Diaries however his snapchats are just hilarious and are always considered of him being a nutcase on his own or with his fellow cast mates or family members. It's definitely one I follow for some laughs as he's brilliant. 10. kaylicouture: With a hilarious family, gorgeous hair, gorgeous figure, amazing fashion sense Kayleigh's snapchat is definitely one of my favorites. Her outfits are always amazing and she always looks incredible too. So there are just 10 of my favorite accounts to follow on snapchat. I really do love this little app as it's perfect for keeping up to date with your friends, family and favorite bloggers/celebrities in real time. Obviously I'm over on snapchat so be sure to head on over to fleur_danielle to see what I get up to on a daily basis as well! Do you follow any of these lovely accounts listed here? Make sure to leave your snapchat names below so I can head on over and give you a follow as well. 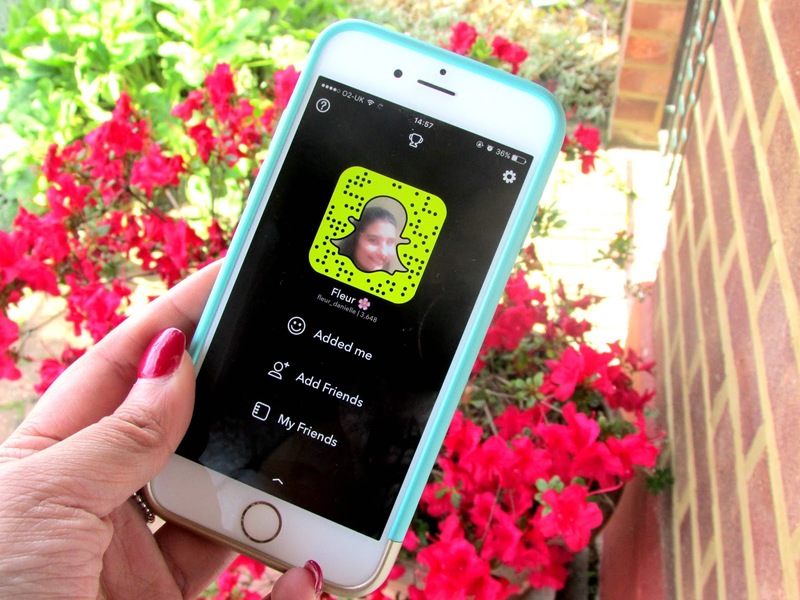 Who are your favorite people to follow on snapchat? LOVE snapchat...it's like the behind the scenes of blogging. I read most of the above blogs anyway so am following along on snap now, too!